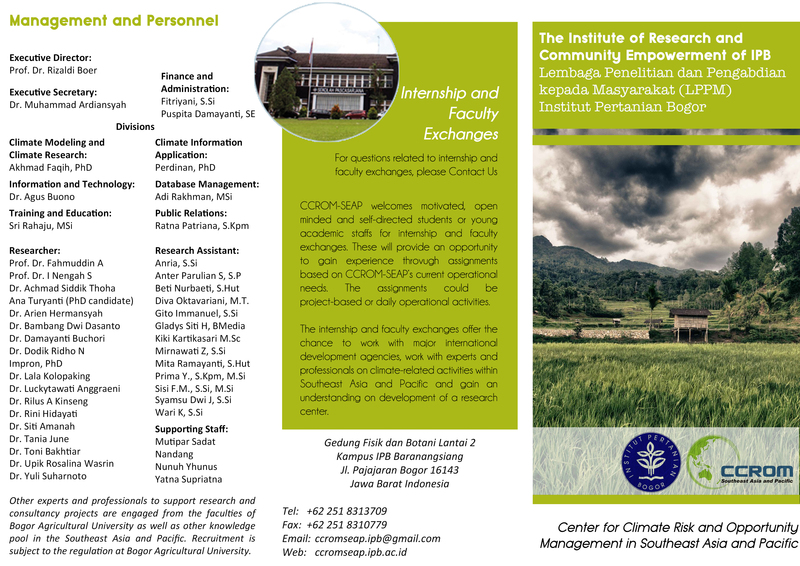 Mr. Gito completed his bachelor degree majoring in Geophysics and Meteorology, Bogor Agricultural University. After graduated from university, he works at CCROM SEAP and involves in many research projects. 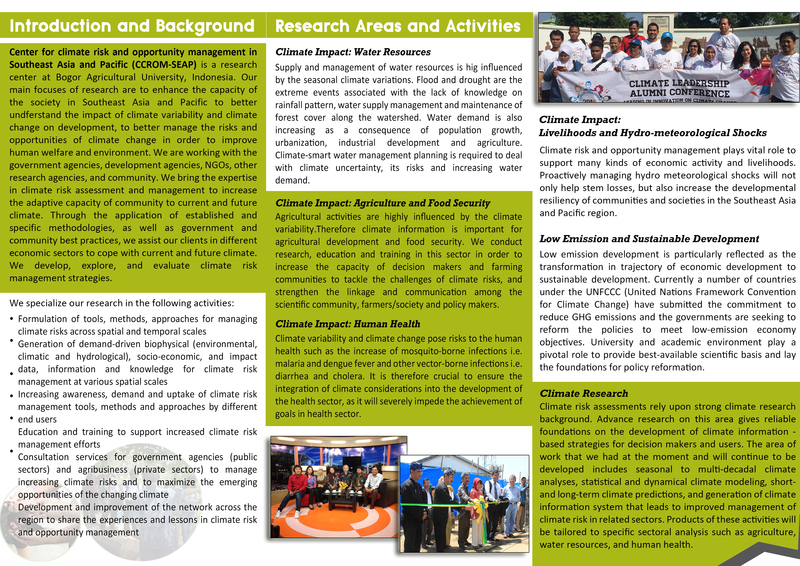 He also actively supports CCROM-SEAP through research such as Reducing Emission from Peat land. Gito is trying to develop his capacity with new experience and meet new challenges. In his spare time, he loves photography and develops information technology application.